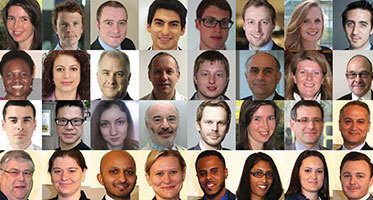 Discover more about ICE members and professionally qualified civil engineers. Search our members’ directory, browse our pass list or check who is applying for membership. Our disciplinary notices cover any announcements regarding breaches of ICE Bylaws and the Rules of Professional Conduct. 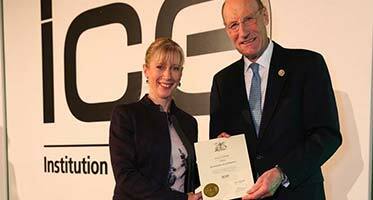 Use our directory to search for professionally qualified ICE members: Members (MICE), Technician Members (MICE) and Fellows (FICE). The Pass List is a regularly published list of our newest professionally qualified members. We publish our pass lists for at least 28 days. 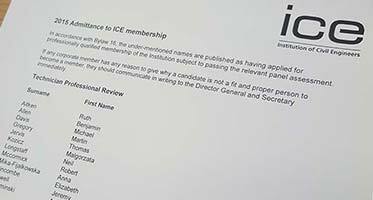 In accordance with Admission Procedure 3, ICE publishes the names of those who have applied for professionally qualified membership of the Institution. Find out the latest Disciplinary Board announcements regarding breaches of ICE Bylaws and the Rules of Professional Conduct.